My camera-to-computer cable is MIA right now, so you are getting a few pics from the Photo Booth app on my Mac Book Pro! LOL! 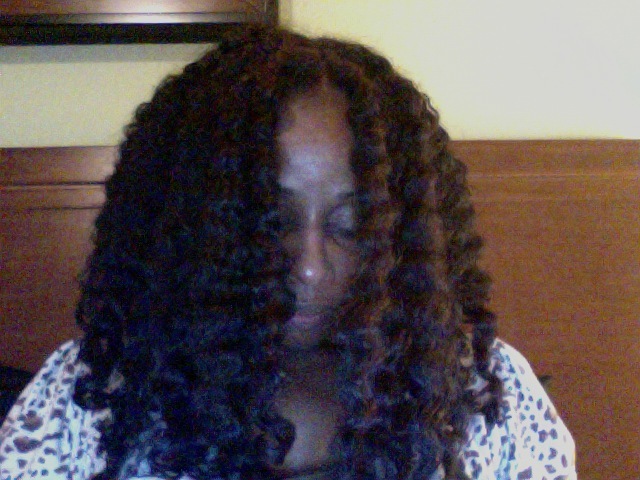 This is a braid out that I released last night after wearing my hair in 12 braids that I did on Friday night. I did 6 braids on each side, 3 in the front quadrant and three in the back. On wash day, I pre-pooed with my Aubrey GPB and Vatika oil mix, washed with diluted DevaCare One No Poo and then applied Matrix Biolage Conditioning Balm for about 5 minutes. 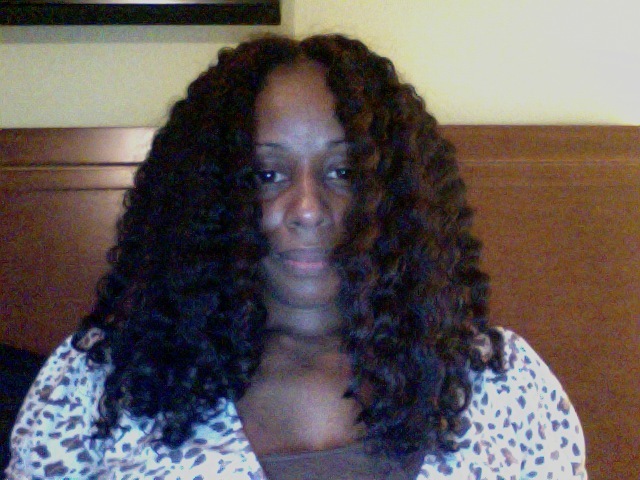 Finally, I applied Aubrey Green Tea Cream Rinse directly over the Matrix Biolage and rinsed with cold water. 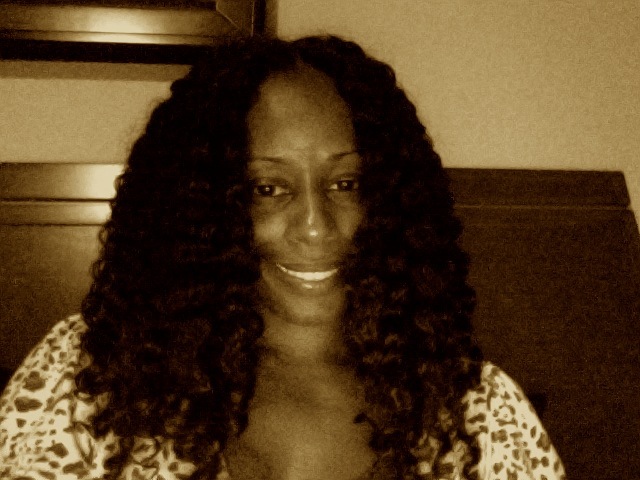 Once out of the shower, I spritzed my hair with diluted Aubrey Honeysuckle Rose (HSR) Conditioner, finger detangled and then applied a little more HSR (full-strength/undiluted) to each section before braiding. I finished by sealing my ends with JBCO. For the 3 days that I wore the braids, I re-moisturized daily with the diluted HSR and sealed with Wonder Curl Polishing Pomade and/or virgin coconut oil. I released the braids on Monday night. I thought we were going out, but then we didn’t! If I had known I was in for the night, I wouldn’t have released the braids until Tuesday morning! Anywho, the pics of my braided hair are on the regular camera. So, I can only share these kind of fuzzy post-release pics. So, I’m definitely back to stretching my hair. My ends were getting so knotty from those WnGs and I had to cut out quite a few SSKs. Now, my ends feel sooooo much better and I want to keep them that way! And again, Aubrey GPB and HSR are my new boos. I just love the results I get from them and they have definitely been added to my Holy Grails! I really like the Green Tea Conditioning Rinse too, but I don’t know if it gets Holy Grail status yet. I like using it as my final rinse though as I’m trying to eliminate Aussie Moist and Herbal Essences Hello Hydration from my regimen in lieu of more natural products. I’m not saying I’m going the completely natural/organic route, but I figure I can reduce the number of commercial and chemical-based products for a moderately natural regimen. DevaCare No Poo and Sally’s GVP and brand Matrix Conditioning Balm aren’t going anywhere though … yet. Do you prefer braid outs or twist outs and why? I def like twist outs ,im looking for the more curly look and with braid out it tends to look more wavy for me.plus Im a little lazy and i try to be quick in the morning so twists are easy for me to take out and put in. I dont think Ive seen you in a ponytail ,that would be awsome with all your volume. Twist outs are definitely quicker and easier to do Tiffany! I like the curlier pattern more than they wavy too. That’s why I prefer them as well! But, when I need something to hold and look nicer for longer, the braids work nicely! I definitely don’t see myself becoming a braid out girl, but I’ll mix it up every now and again ;)! 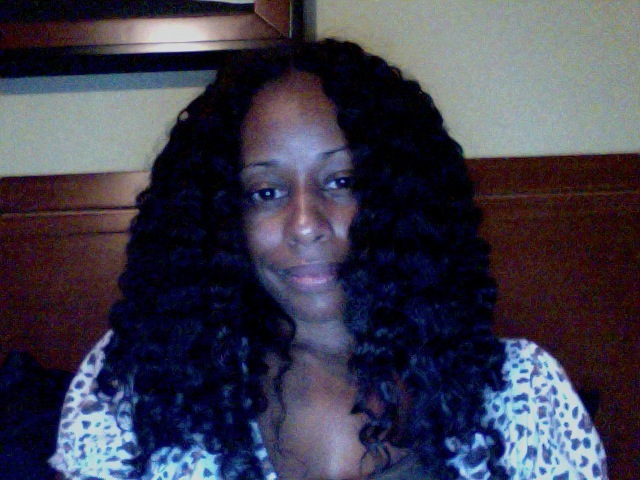 I’m thinking I may try a satin scarf braid-out on this hair, since it’s already stretched, for more of beach wave look. Twist outs are easier, but braid outs seem more defined. I absolutely love Whitney’s hair and lifestyle vlogs. She was my first YT hair crush. I love your braid it so pretty. I like doing twist out because i cut my hair in the back longer then the front. so it looks bad. i just wear a bun. I love your twist outs but I prefer braid outs. I think they are more defined. My braid outs look so boring to me. Whenever I do go for the twist out, I do 3-strand twists instead and they come out a little more defined than my 2-strand twist outs. My daughter sent me the link to your blog. I am reading through it. Have past shoulder length straight hair and I would like to keep my length as I transition. I always had waist length natural hair growing up. I would love to get that back. Can you help with tips on how I can do this without loosing my hair through breakage. Hi Freda. Breakage is generally unavoidable with transitioning due to the difference in texture and the weakness of the strands at the line of demarcation (where the natural hair meets the relaxed). But it can be minimized and I have seen many woman do long-term transitions. If the difference in texture between your relaxed and natural hair isn’t extreme, than that will help too. I didn’t transition though. I BC’d after 6 months (my normal relaxer time) due to bad breakage from a relaxer given at a “salon.” But, my article,”How I Retain Length” may be helpful to you. It’s linked in the r.hand navigation. I’d suggest checking out the blogs of HappilyEverNatural, AHairStory, and TheManeObjective as they all transitioned long-term (12-24 months), the TMO transitioned from heat damage to her natural hair, not a relaxer. And FusionofCultures on YouTube transitioned long-term and has GREAT info. HTH!